Calling all Bourbon fans. 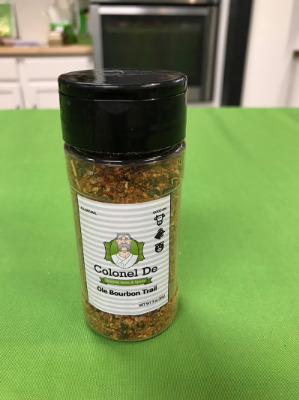 Bring your bourbon to the grill, with this blend of bourbon smoked sugar, bourbon smoked paprika, bourbon smoked peppercorns, hickory powder, brown sugar, sweet paprika, garlic, onion, rosemary, coriander, New Mexico Chili, and sea salt. Uses include: a fabulous rub for grilling steaks and pork chops. It’s also good when used to make a nice baked or grilled chicken breast or chicken wings. This is by far the most popular selling rub for grilling during the summer season.